No Commissions - Fixed Spreads! Check Out Our Latest XTrade Bonus 2018! To be a profitable forex trader, you need to work with a good online broker. Our XTrade bonus review will introduce you to a broker that we believe merits your attention. XTrade is an international provider of trading facilities for CFDs that allows you to trade not only forex, but also stocks, indices and commodities. It is licensed and regulated by Cyprus Securities and Exchange Commission, the Australian Securities and Exchange Commission and the International Financial Services Commission. Customer support is available 24/5 through e-mail and phone. A complete list of international phone numbers is available on the Contact Us page as well as the relevant e-mail addresses. Customer representatives are knowledgeable and friendly, and more than able to address any issues that you may have. You can open a live trading account with as little as a $100 initial deposit. There are no fees required and you can trade with a minimum size of 0.01 lot. 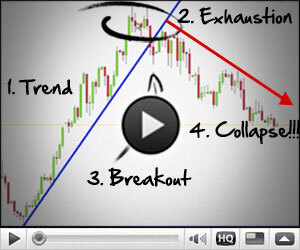 Your maximum leverage ranges from 1:400 for forex to 1:200 for commodities and indices. A demo account is also available that lets you make paper trades so you can practice your skills and play with your trading strategies without having to risk real money. You can trade forex with no commissions and fixed spreads between the buy and sell price. Their cutting-edge technology means that pricing is always transparent and that trades are reliably executed. In addition, you are provided with a variety of analytic tools that help you to analyze the charts and identify trading opportunities. The site also allows scalping, which allows you to adopt more advanced trading strategies. In addition, there is an XTrade Academy that offers you access to a wide range of training tools to sharpen your skills and help you become more profitable. XTrade uses a proprietary XTrader Pro trading platform that is state-of-the-art and allows you access to your account from any device using its cloud-based technology. The platform provides access to real-time charts as well as technical analysis tools such as advanced charting software. For those who use fundamental analysis in their trading strategies, there is an economic calendar that lists upcoming economic and political developments that could cause volatility in the markets. There are also apps available for iPhone, Windows and Android phones. XTrade boasts of a generous welcome package for new clients. You can enjoy a bonus of up to $6,000 on your first deposit. You can also receive a $20 bonus just by verifying your phone number and a $30 bonus for verifying your account. Plus, your first trade on the site is free and you get to keep the profits or your loss will be refunded up to $120. There are also a number of promotions that appear periodically that are tied to special events, such as the Rio Olympics 2016. And you can become an XTrade VIP and enjoy a lot of exciting perks.